In the detailed report, the first magazine issue of the Baukultur magazine 2019 sheds light on the challenges involved in expanding and remodeling the parking garage of the BMW Group in Munich. The article describes the elaborate refurbishment concept which, in addition to the technical requirements for the protection and repair of the original concrete components, also took into account the visual appearance of the façade in consultation with the monuments authorities. Especially due to the critically assessed concrete cover, an intervention was necessary. All façade elements were renovated on site and later remounted with a secondary construction to the new building, which had been put into the existing excavation. 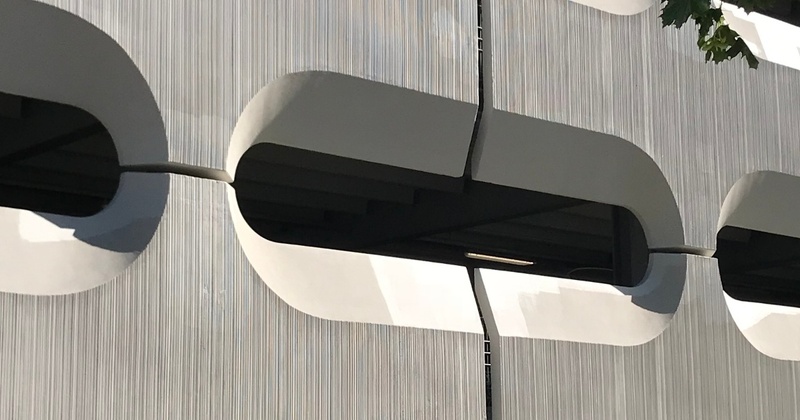 The northern area of ​​the parking garage even received a completely new façade, which clearly distinguishes itself from the existing structure in terms of its appearance, in the form of a curved perforated sheet metal construction. Further details can be found on the website of our Hamburg office of SAA Schweger Architects for the project Revitalization of the BMW Car Park, Munich.